Yash Chopra is currently directing an untitled romantic film starring Shahrukh Khan, Katrina Kaif and Anushka Sharma. The shooting for the film started in London a few days ago. 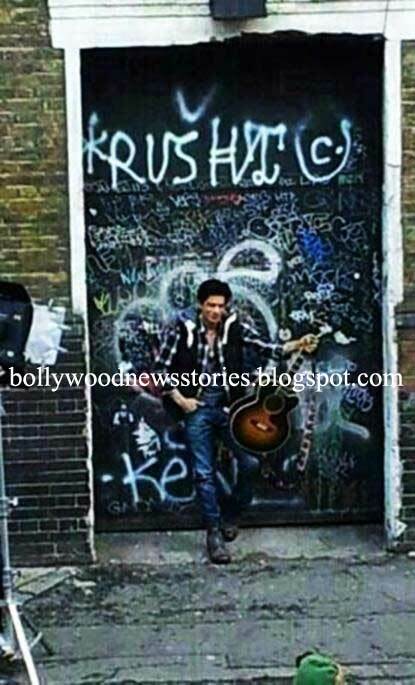 Below are some pictures of Katrina Kaif and SRK shooting for Yash Chopra's Next Film in London. Katrina Kaif and Shahrukh Khan On the Sets of Yash Chopra's Next Film in London.